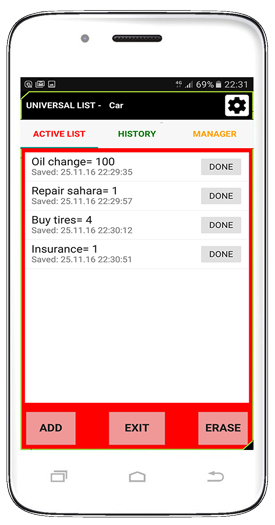 ﻿ Universal list.Manage your duties, ideas. Notes Shopping Counting Average Multiplying Birthday list. 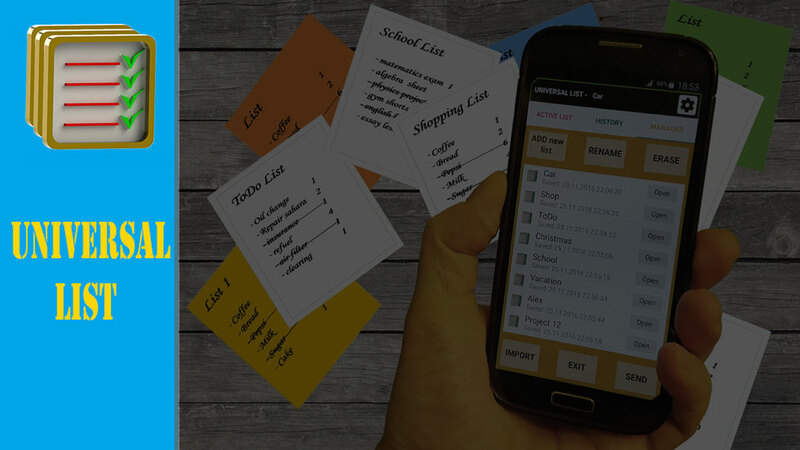 organize and manage your duties and ideas. 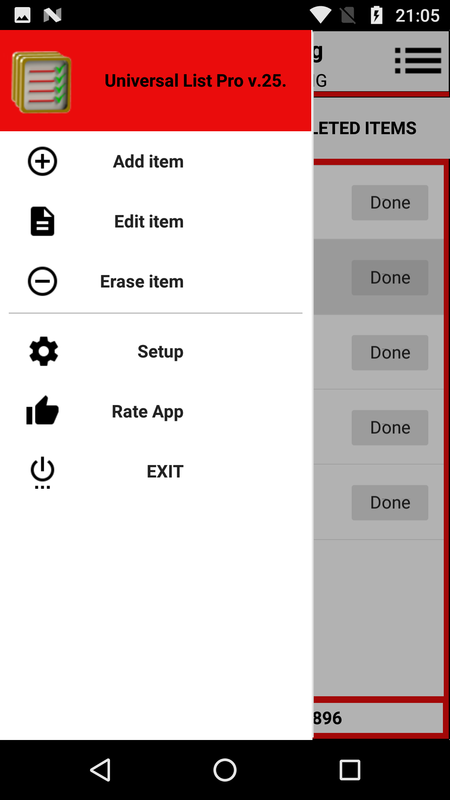 Universal list belongs to the useful apps. 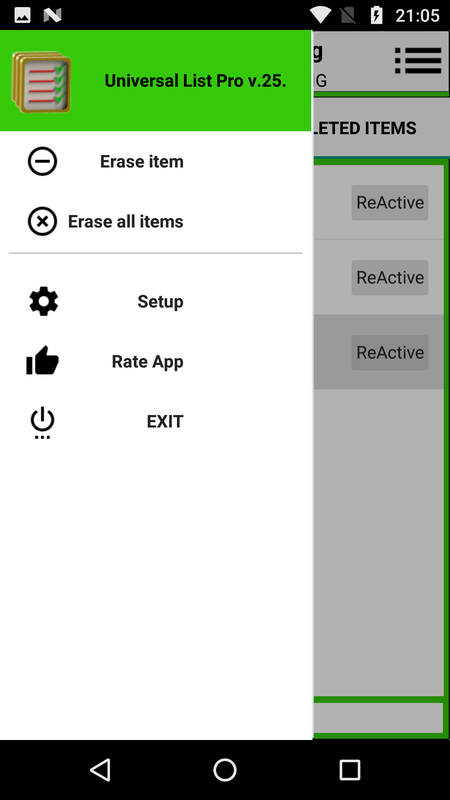 It shouldn`t be missed in any android mobile. 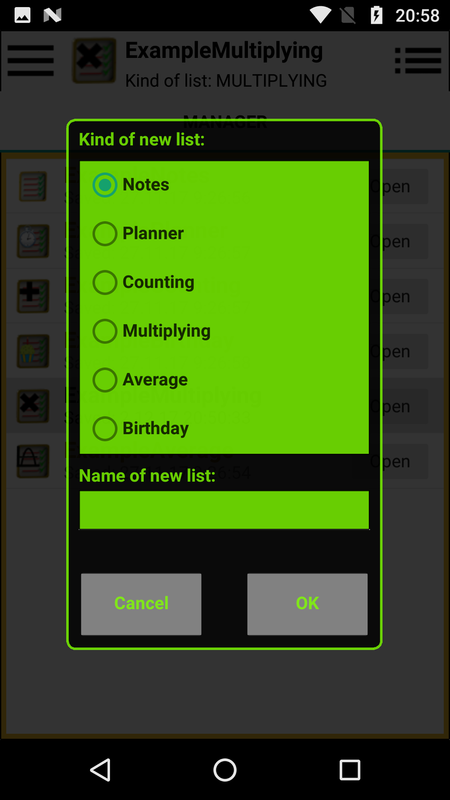 You can make unlimited number of lists in MANAGER. The use is unlimited. 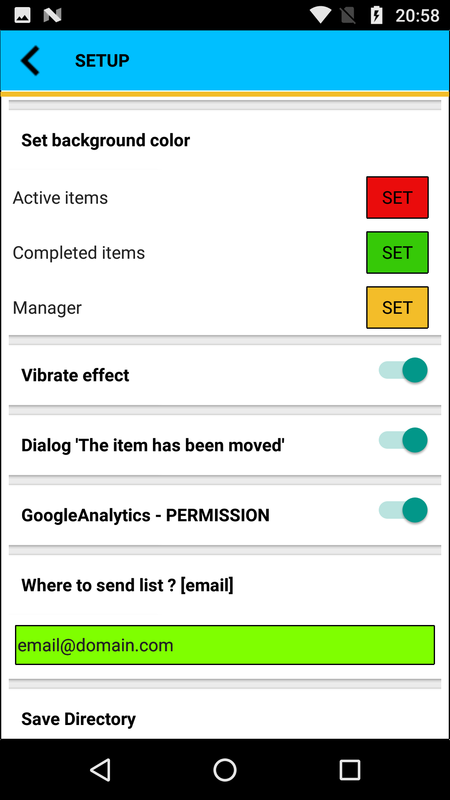 Easy to do list, Ideas list, Reminder list, Shopping list, Packing list, Christmas gift list,...) No commercials, no decorations, pictures, voice, video, just direct and useful application. Sharing is easy to use. You don´t have to create any account, thus no information shall be lost. Either you possess the information or the one who you send it to. You only need – email. 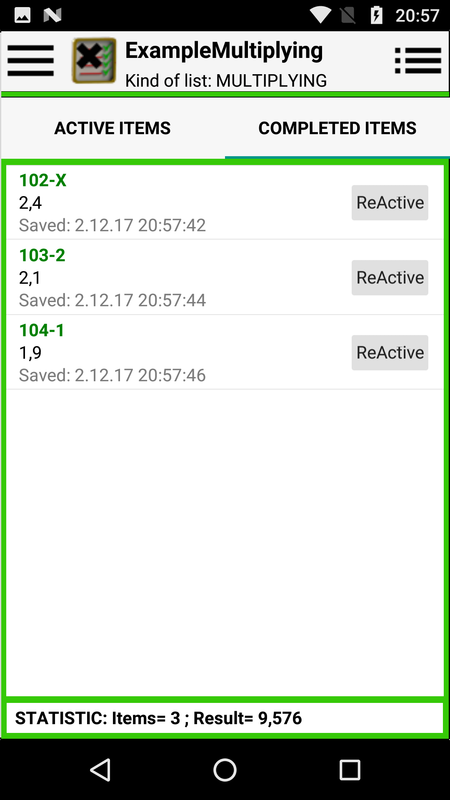 22.12.2016 - Fully functioned Free version. 06.01.2017 - Add function - Rotation lists. 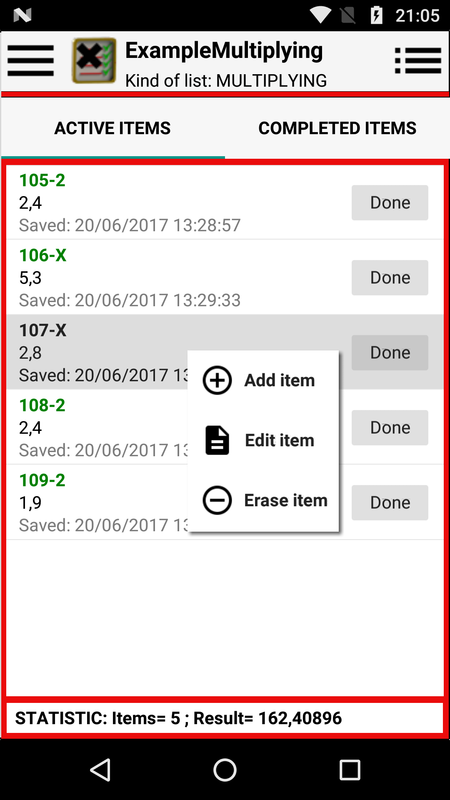 09.02.2017 - Add new kind of list - Planner(date-time sorting). 22.02.2017 - Add new kind of list - Counting(A1 + A2 +...+An, all items of list). 13.04.2017 - Add new kind of list - Birthday(days-months sorting, calculate age). 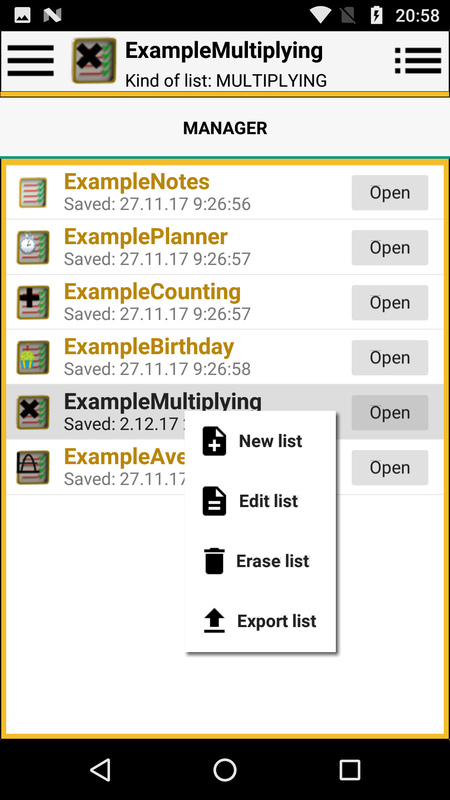 15.05.2017 - Add new kind of list - Multiplying(A1 x A2 x...xAn, all items of list). 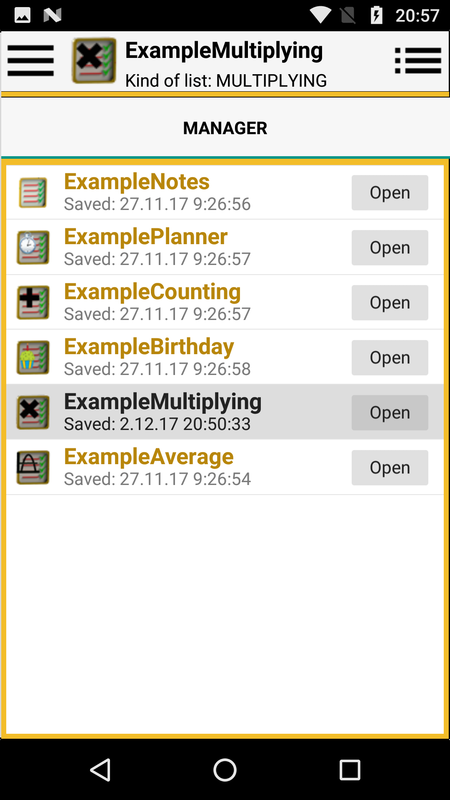 15.05.2017 - Add new kind of list - Average(A1 + A2 +...+ An/n, all items of list). 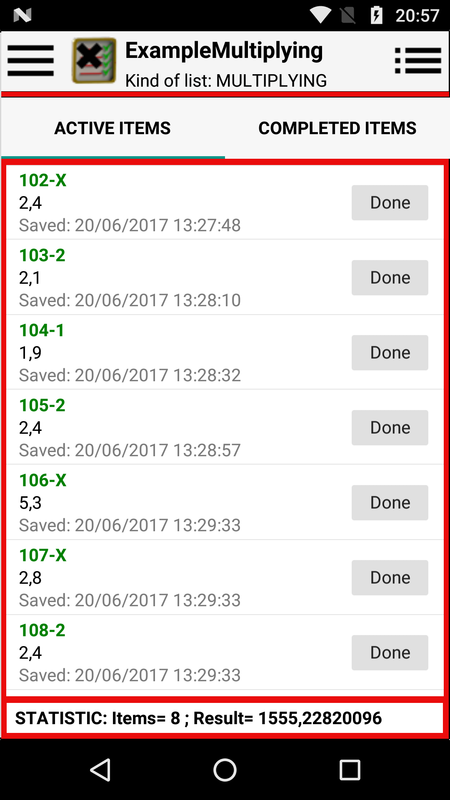 18.05.2017 - Optimalization user interface. 17.04.2018 - Added move-arrows for long notes. How to use Universal List? 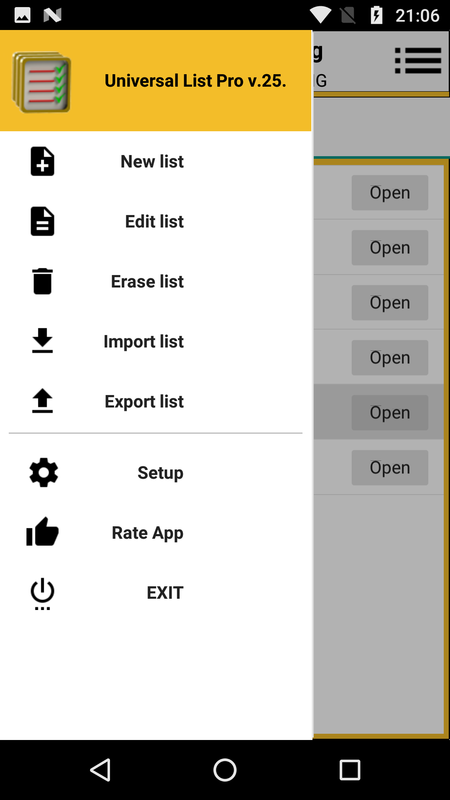 Universal list - TIP 1 Show/Hide controls. Items of List & History & Manager & Config.